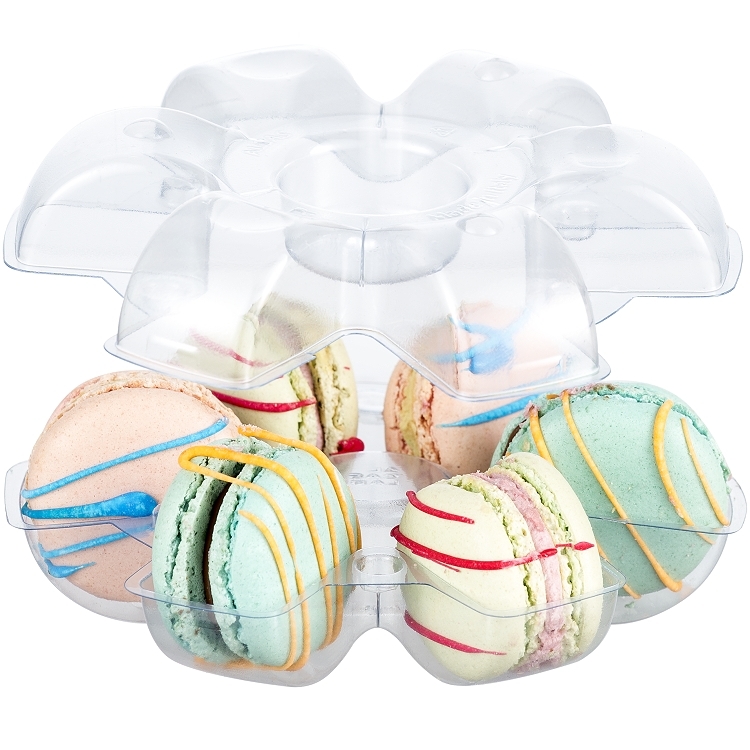 Macaron "Take Away" Containers, are the perfect container for packaging macarons. 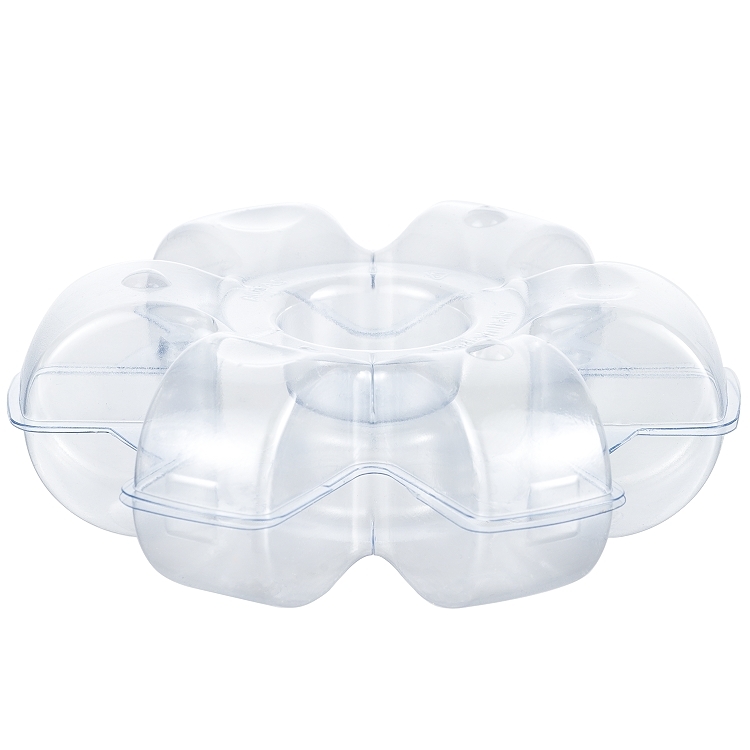 A sophisticated and simple packaging design, made of plastic, the matching top and bottom snap together to create a complete container. 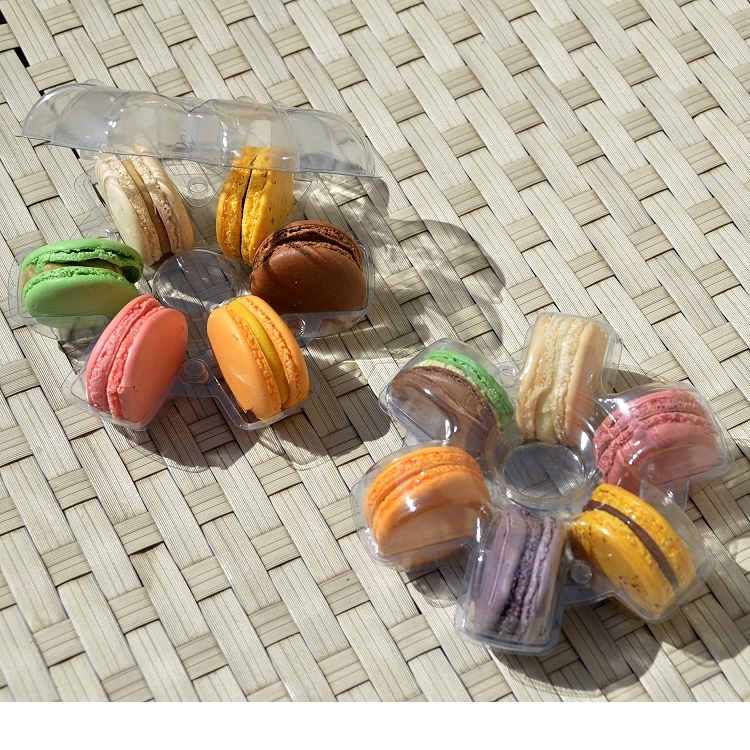 Container holds finished macarons with a maximum diameter of 1 3/4", and a 1" thickness. 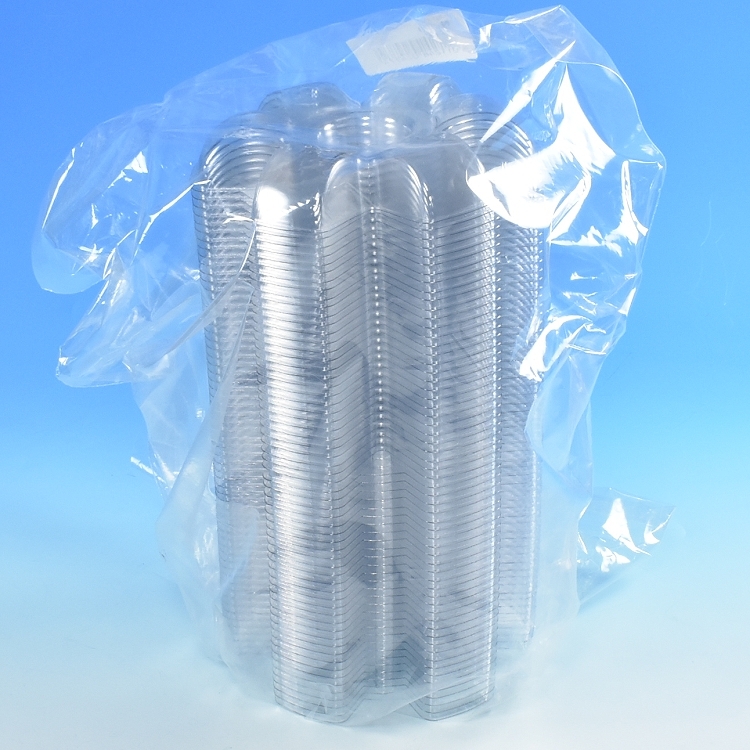 Package contains 60 pieces, these snapped together to make 30 containers.